Over the past twenty years, thousands of races have been have been won with Bert Transmissions. Check out the Recently Listed Automatic Transmission Bands. Check out the Recently Listed Automatic Transmission Bearings. Check out the Recently Listed Automatic Transmission Gears. Check out the Recently Listed Automatic Transmission Servos and Components. Check out the Recently Listed Automatic Transmission Springs. Check out the Recently Listed Bellhousings. Bert, Brinn, Falcon and RaceGators transmissions require specially designed flywheels and other drive train components. 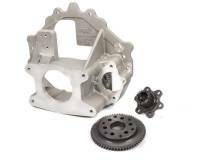 PitStopUSA.com has a great selection of steel and aluminum flywheels for use with clutchless transmissions. Pit Stop USA is The Online Motorsports Superstore! We feature Hydraulic Portable Race Car Lifts at low everyday prices. Check out the Recently Listed Jack Components. Check out the Recently Listed Manual Transmission Bearings. Check out the Recently Listed Manual Transmission Bushings. 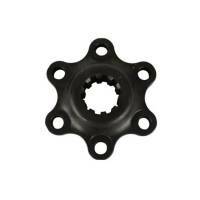 Check out the Recently Listed Manual Transmission Drive Flange Hubs. Bert Allen Cap Screws 1/4-28 x 2"
Bert Aluminum Late Model Transmission - 48 lbs. Pit Stop USA is The Online Motorsports Superstore! Over the past twenty years thousands of races were won with Bert Transmissions. Bert Transmission engineering makes Bert Transmission your best choice for performance and reliability. 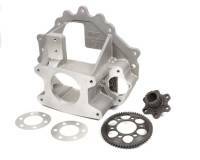 20 Years ago, Bert Engineering introduced the revolutionary Bert transmission, a direct drive unit with a small internal clutch and it is now the standard in oval track racing. Bert Late Model Transmissions feature over-center shifter for positive high gear engagement. Bert Transmissions feature dog-tooth final drive for butter-smooth shifts and positive engagement. 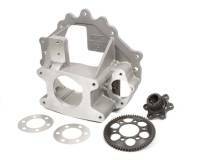 By significantly reducing drive line bind, the Bert Ballspline Transmission allows the rear suspension to move faster and smoother, greatly improving traction on todayas dry, slick racing surfaces. Bert Magnesium Transmission is lightweight at only 36 lbs. Bert Transmissions have been improved by cutting longer splines on the output shaft to accept the 8a yoke being used by late model and modified racers. Bert Aluminum Bell Housings are designed for use with Bert Transmissions. 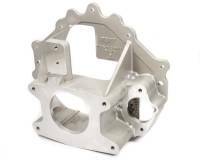 Bert Late Model Magnesium Bell Housing provides an even lighter and stronger package. The Bert Ball-Spline Tail Housing replaces your standard slip-yoke tail and brings the benefit of greatly reduced friction in the telescoping action of the drive shaft necessary for smooth rear suspension travel. Bert Black Magic Transmission Fluid is specially blended to insure greater bearing and gear protection, easier shifting, smoother, quieter clutch operation and reduce transmission temperature. Bert Two-Piece Flywheel Two-piece design allows changing of ring gear or hub. The smallest and lightest flywheel available, H.T.D., or Gilmore hubs made from high strength steel or 7075 T6 aluminum. The Bert Crank Coupler (Drive Flange) adapts your Bert Transmission to any popular engine combination. 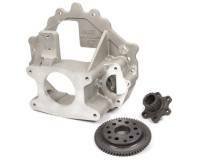 Bert Externally-Balanced Flywheel couples your crate motor to a Bert Transmission. We feature Bert Transmissions at low everyday prices.